Unfortunately, many pet parents never look inside their dogs’ mouths. That’s a shame because up to 80% of adult dogs have significant oral pathology. A dog’s mouth is the ideal incubator for all kinds of bacteria to thrive, partly because the mouth is warm and moist and has nutrients present for organisms to grow on. Many of these bacteria are normal and healthy. However, once plaque and tartar form on the teeth, things can get out of balance quickly. If pathogenic organisms proliferate, it’s big trouble for your canine pal. 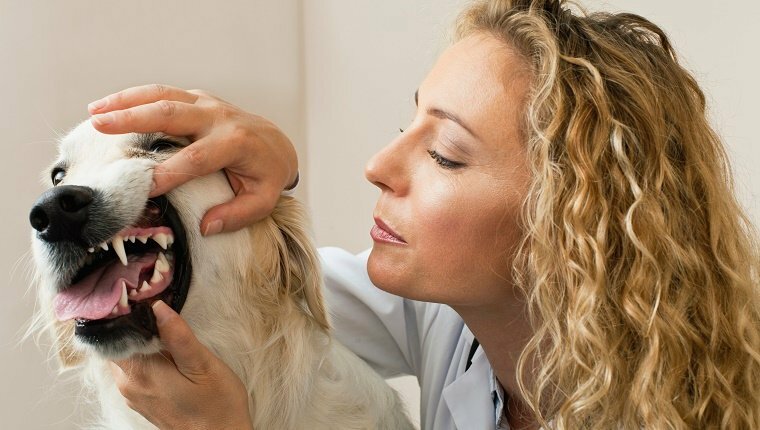 Foul breath can be one indicator of a problem, but the effects of poor dental health go far beyond “doggy breath” and present a major risk to your dog’s overall health and longevity. Oral health issues can lead to heart, liver, and kidney disease. That’s because the toxins from periodontal disease are absorbed into animals’ blood streams. As the kidneys, liver, and brain work to filter the blood, small infections occur causing permanent and sometimes fatal organ damage. 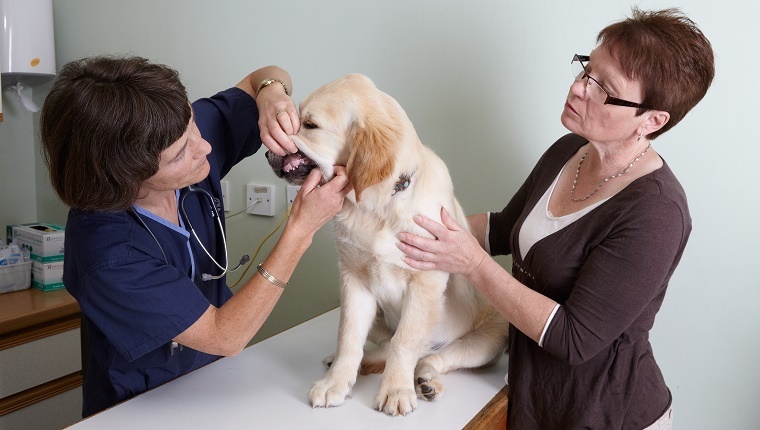 Many pet parents seem surprised when a routine veterinarian exam points out to them that their dogs’ teeth are loose or sore, the gums are infected, or the tooth sockets are rotting. These conditions can be extremely painful for the animal. That’s why it’s so important to keep up with dental and regular veterinary checkups. Do not neglect at-home care either. One veterinarian who specializes in canine dental care explains it simply, saying “When a client asks me how long their puppy will live, I usually respond 15 to 17 years if you brush their teeth daily–11 to 13 years if you don’t.” That’s a powerful statement bluntly pointing out how important proper dental care for your dog really is. Having your veterinarian treat existing periodontal disease and giving your dog proper home hygiene care will make all the difference. Most dogs respond well due to decreased pain and infection. Anything you can do to prevent oral issues is well worth the time and effort. A 1996 study published in the Journal of Veterinary Dentistry recommends daily tooth-brushing irrespective of the dietary regime your dog is on. How do you get started? 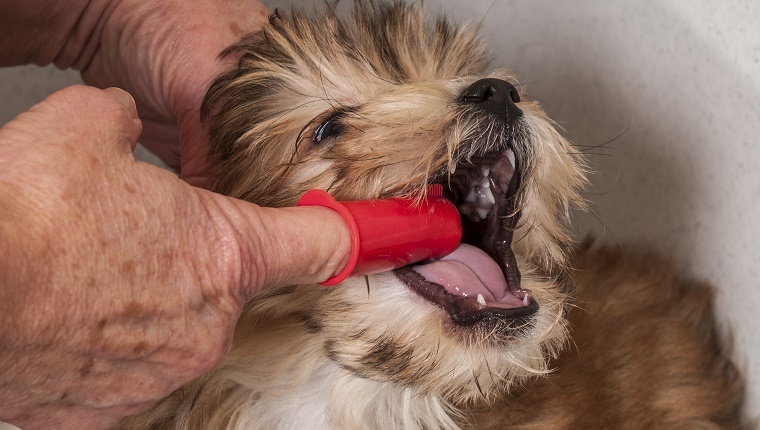 Begin a dental care routine as early as possible in your dog’s life so they get used to it. Most veterinarians are happy to provide brushing lessons, and they often carry brushes and toothpastes made specifically for dogs. Be sure you select a brush size that is appropriate for your pet’s mouth and make sure it has soft bristles. Some dogs can’t tolerate a brush. If that’s the case, there are alternative cleaning tools you can use. Consider a finger-tip brush or gauze wrapped around a finger instead. Do not use human toothpaste! It’s not tasty to dogs, but more importantly it’s sudsy and meant to be rinsed out and not swallowed. 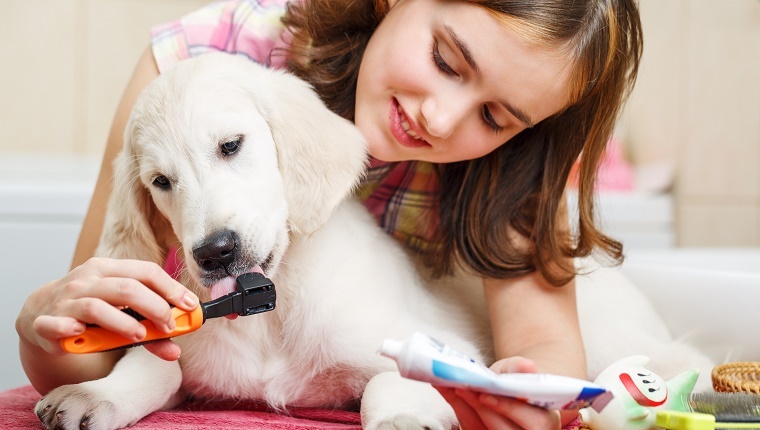 Pet toothpastes formulated for dogs are enzymatic, meaning that they offer greater cleansing action on both plaque and food debris, and can be swallowed. Most dogs prefer meat-flavored toothpastes such as beef or chicken. Start with a small sample to find a flavor your dog likes. When you begin home dental care, be careful and go slowly to avoid being bitten if your dog is resistant, and gentle to avoid doing harm to the dog’s mouth. Start with a small amount of the toothpaste to allow the pet to get used to it, letting them smell and taste it while encouraging them with praise. Add the brush or cleaning tool once you feel comfortable and your dog knows what to expect. Don’t worry too much about brushing the inside of the teeth by the tongue, as that area is cleansed with saliva. Brush gently with strokes starting at the gum. Bones and chew toys can also help keep teeth clean. Kong dental toys are durable and not consumable. Just be sure to choose a size appropriate for your dog. There are also a variety of biscuits and treats for tartar control, like Greenies , but be mindful of the calories and your dog’s overall weight when you use them. Some dog foods are formulated to promote good oral health. Homemade dog food can also be beneficial if prepared properly. 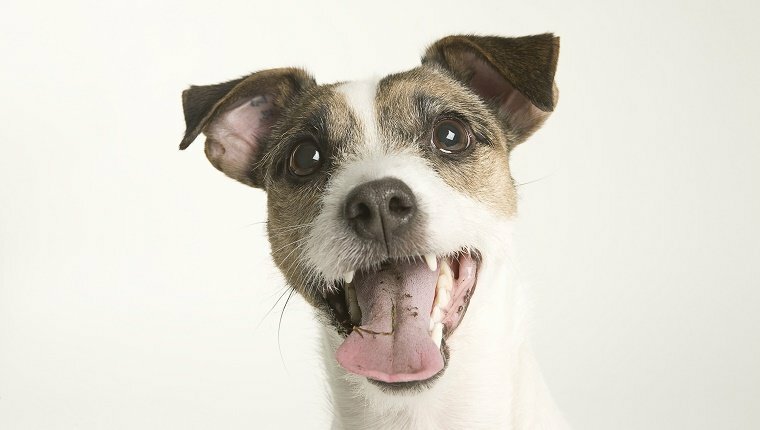 Check with your veterinarian to formulate an appropriate diet for your dog’s oral health. 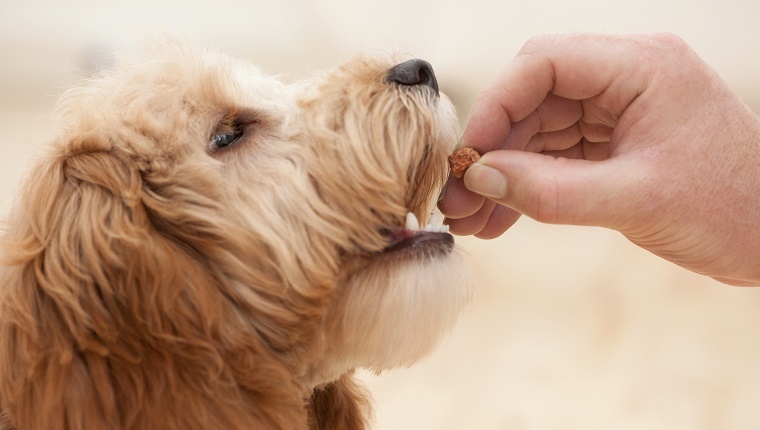 One of the best ways to insure optimum oral health is to feed your dog with a well-balanced, meat-based dog food. Meat actually assists in keeping the mouth environment healthy. Coupled with chew treats that require some “exercising” of the teeth and regular brushings, you will be improving your dog’s oral health and overall well-being. How do you keep your dog’s mouth in good health? Let us know in the comments below!